One night, MXM and myself travelled to Sunnybank for some ramen in Ramen Champion. I have seen a few other bloggers who visited this place and I suggested to MXM to give this place a go. The ordering system is quite simple, where we just order at the cash counter, pay and proceed to our seats with a waiting number. 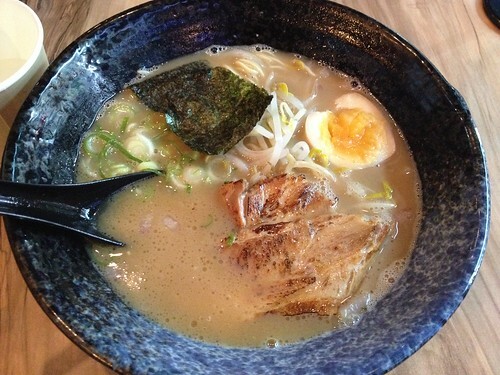 My choice that night was the Champion Ramen; consisted of pork slices in pork bone broth. MXM had the Miso Champion and the difference is the soup base, in which his was miso pork bone soup. Well, we both enjoyed the noodles. The soup broth that night was flavourful but quite 'thick'. It felt like the soup has been brewed for many many hours and has become quite concentrated. My noodles are quite fine in comparison to the Miso's noodle. I think it was all right. 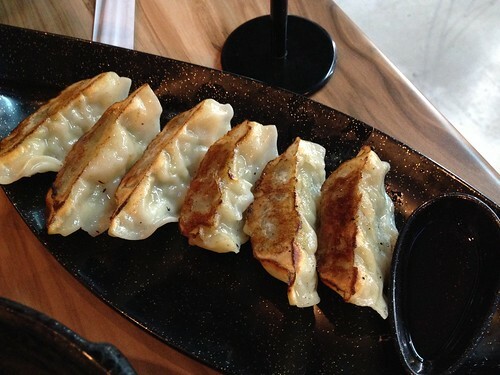 Their gyozas did not disappoint at all. Moreish!